You’ve just become the proud owner of a new travel trailer. After a lot of time choosing the ideal model, sorting out the finance and selecting the floor plan—you’re ready to hit the road. That first getaway in a new RV is one you’ll never forget. But, as the trip progresses, you begin to notice a few things are missing. Why didn’t I buy that? It seems obvious now, but at the time it never crossed your mind. This article brings you the 10 RV accessories for a new travel trailer—making you perfectly prepared for that first trip away. At some time during your camping trips, there are going to be some injuries—hopefully only small ones. Getting caught on tree branches, tripping when hiking—there are many factors that mean camping will involve cuts and scrapes. What’s more, if you’re unfamiliar with the outdoor equipment you are using, this can increase risk. Open gas burners, lighting equipment, grills and cooking, all present different hazards to those at home. A report from the consumer product safety commission (CPSC) indicated that there were around 31,000 accidents relating to these camping hazards in one year. 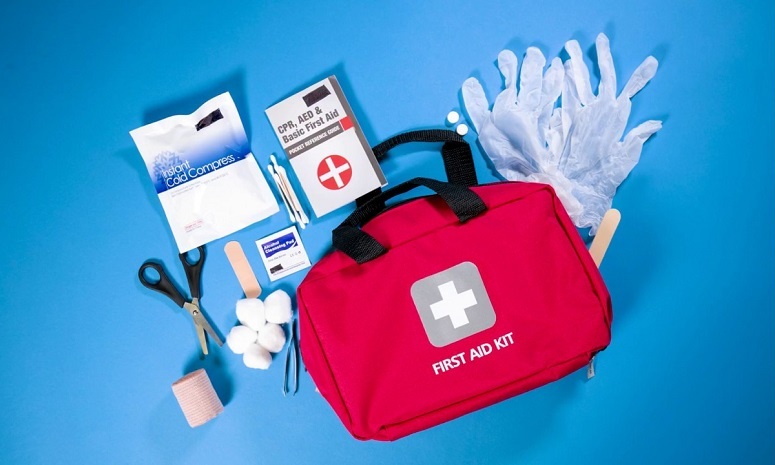 A first aid kit is essential for your outdoor adventures. Choose one that is lightweight, comprehensive and, importantly, waterproof. This means it will be ideal to pop into your backpack when out in nature, preparing you for any eventuality. For a belt-and-braces approach, I always recommend that at least one camper has taken some first aid or EFR training. In addition, it would be ideal to complete a course in CPR, such as those provided by the American Heart Association. What’s more, knowing CPR can reduce insurance premiums. Although not a substitute for professional training, here’s a useful video showing how to perform CPR. If you’re on a popular and modern camping site, you will probably be lucky enough to have a direct electric hook-up on your pitch. However, the more remote and further into the wilderness you go, the less chance there is of this handy facility. This is particularly relevant if you are vacationing in national parks. After purchasing that amazing travel trailer of yours, probably including entertainment systems, AC, LCD televisions and more, you want to put it to its best use. A good generator can enable you to enjoy these luxuries, wherever you are. You need to consider three things when choosing your generator. 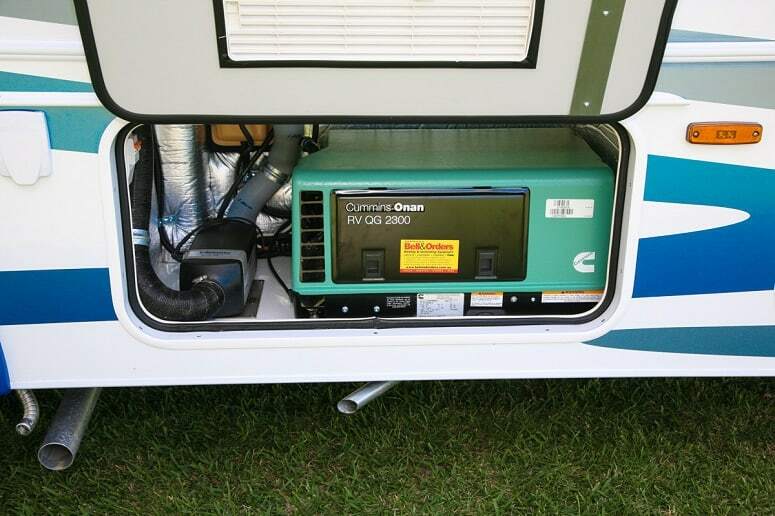 Portability and size: Unless you have a large trailer with a pass-thru, the generator will have to be transported inside your camper. Power: You need to calculate how much wattage your equipment requires—AC usually takes the lion’s share. Noise: Some generators are designed to be quiet runners. The last point is especially important when camping. There is little fun trying to enjoy the sounds of nature, when all you can hear is a gas-motor running. Plus, it will annoy any camping neighbors. National Park Service (NPS) regulations state that the noise generated by generators should not exceed 60 decibels. One of the most exciting aspects of camping is getting back to nature. A perfect way to do this is to have open campfires and grills for both warmth and cooking. However, this can lead to unwanted fires that can soon get out of control. What’s more, with the large number of electrical appliances in modern trailers, there’s an increased chance of fire. The National Park Service states that there are over 20,000 RV fires every year in the USA. Camping in the wilderness, in particular, means there are often no nearby extinguishers, hydrants, sprinklers or water sources. Being prepared with a fire extinguisher gives both peace of mind and the correct tool—should the unwanted occur. The National Fire Protection Agency (NFPA) rules state that RVs should have at least a B-C rated extinguisher next to the vehicle exit. That is, one suitable for flammable gases and liquids (B) and for electrical equipment (C). Being at one with nature means dealing with all those things that are inevitable in life—including going to the bathroom. Even if you have the largest black water tank available, at some time you will need to empty it. A dump hose is essential for removing the waste from your trailer and transferring to a dump tank. But all dump hoses are not the same. Obviously, you want the hose long enough to reach the dump tank without having to either stretch it too far or park right next to the tank itself. Don’t automatically think though, that getting the longest hose possible is the answer. Too much hose can become unwieldy and take up valuable storage space. In my experience, a hose of around 14-16 feet is ideal. Shorter than this and you may struggle to reach the tank. Hoses are frequently either stepped on or driven over. Look for one that is built to last, and flexible enough to cope with accidental crushing. From experience, there is nothing more unpleasant than finding yourself covered in black water due to a hole in the hose. What’s more, the number of bacteria present in this water can present a danger to health. Select a hose that has a viewing window so you can check when the transference is complete. Premature removal can mean a very unpleasant shower. Camping is a great excuse to get away from the usual home lifestyle, including the TV. However, there are times when inclement weather means you’re confined to the camper. A great source of entertainment is the TV. Alternatively, although you love the whole camping experience, it could be you don’t want to miss some of those addictive shows or your favorite ball game. With around 35 million satellite subscribers in the USA alone, chances are many of them are camping enthusiasts. A satellite dish for your travel trailer allows you to have all the movies and shows you require, at the push of a button. Portable and lightweight—you don’t want to be carrying something like the Very Large Array in your RV. Multi-LNB—this allows different TV shows to be watched simultaneously in the trailer, useful if you have kids camping with you. 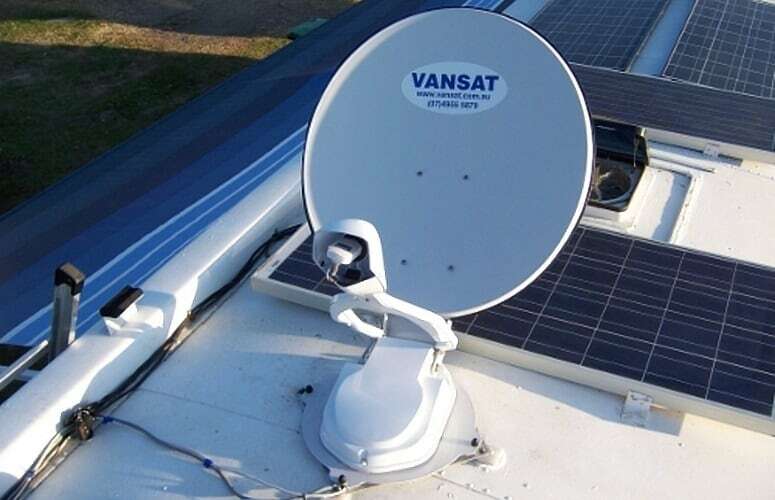 Automatic tuning—this enables the dish to find the satellites automatically—you don’t have to climb onto the camper roof. In centrally based camping sites, you often have the opportunity to hook up to the site’s own water supply. While convenient, this can sometimes cause issues. Unless the supply has been stepped down, it will be running at the pressure designed for city supplies—not for RV or camper trailers. Sometimes this water can be at 80 pounds or even higher. 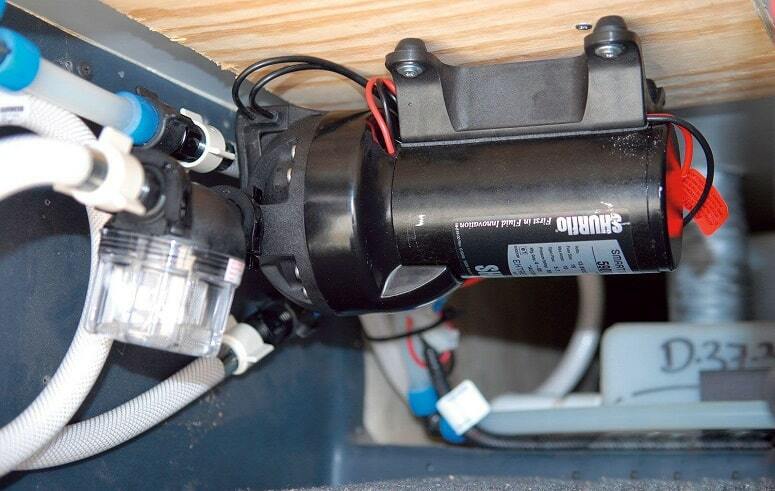 Water powering through the plumbing of the camper at this pressure causes excessive stress. Furthermore, it can damage washers, joints, and pipes. The last thing that you want is to return from an awesome hike in the woods to discover that the floor of your camper has turned into a swimming pool. An inline pressure regulator can bring this harmful pressure down to a gentle 40 pounds. That’s enough for a comfortable shower but at a safe level to protect your trailer’s valuable plumbing system. Many states, such as Louisiana, California, Maryland, and Vermont have regulations applying to any fixture attached to the water supply. These are designed to prevent lead contaminants from entering the water. Always choose a pressure regulator that complies with these laws. While living off-the-grid for a few days may be ideal for some, it’s not suitable for all. Sometimes having cellular access is essential, especially if you have to remain in contact with the office, or your family. Additionally, having access to a working cell offers peace of mind, in case any health or other emergencies arise. Cellular access in remote areas can be weak. Furthermore, WiFi on camping sites tends to be extremely slow, as it is shared across the park. A cell signal booster can improve calls and boost 3G and 4G signals up to 32 times. Many US-based outdoor workers rely on these units to keep them safe. Look for one that can be simply installed by yourself and also works while on the move—ideal for RVs. I remember from my childhood, sitting around a campfire, listening to my father strumming on his ukulele. It was a fantastic time and remains one of my longest lasting memories. Campfires are a great way for the family to get together and feel at one with nature. There’s little point venturing out into the great outdoors and spending all evening inside the trailer—despite how welcoming it is. The problem is, many areas and national parks have restrictions on campfires. These can be from all-year-round bans to regulations that are implemented during spells of very dry weather. However, there’s a safe, simple and highly effective alternative. 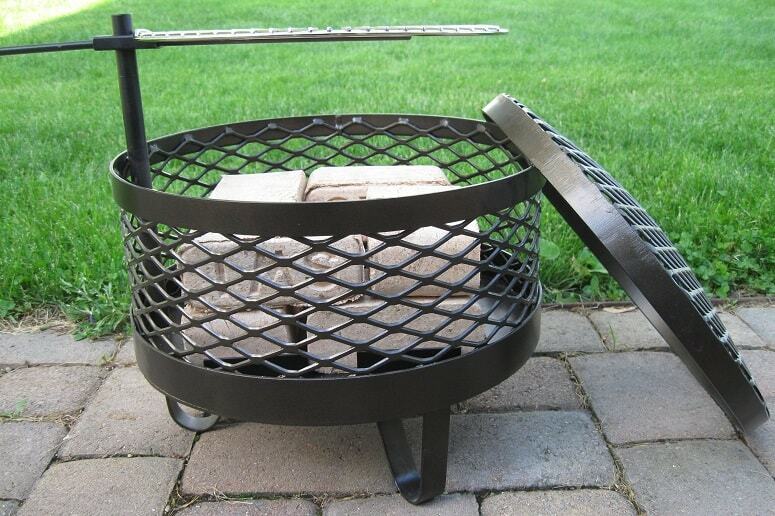 Portable fire pits allow you to experience the warm glow and cozy feel of a campfire, while staying on the “good” side of most campfire regulations. Smoke-free, they won’t annoy any fellow campers or leave an unpleasant smell on your clothes. These fire pits are enclosed and raised off the floor. Hence, there is no contact with the ground and all ash is contained within the fire-pit bowl. Thus, making them easy to clean. Powered by a standard propane tank, the flame is controllable, unlike traditional campfires. I would recommend choosing one that is lightweight and uses natural lava. Fire-pits with these rocks provide an effective flickering appearance which replicates an actual fire. You will not even notice it’s being powered by bottled fuel. Using water from a camping park can be a hit-and-miss experience. Sometimes the water comes from a mains water supply, which can be heavily chlorinated. Alternatively, it may come from a well, which often contains sediments or contaminants. In some cases, they just make the water smell awful. But, in others, they can be dangerous to the health. Not only can these factors affect the taste of the water, but also high mineral or sediment content can damage your water tanks and plumbing. Remove bacteria, chlorine, contaminants, hydrogen sulfide and sediment. 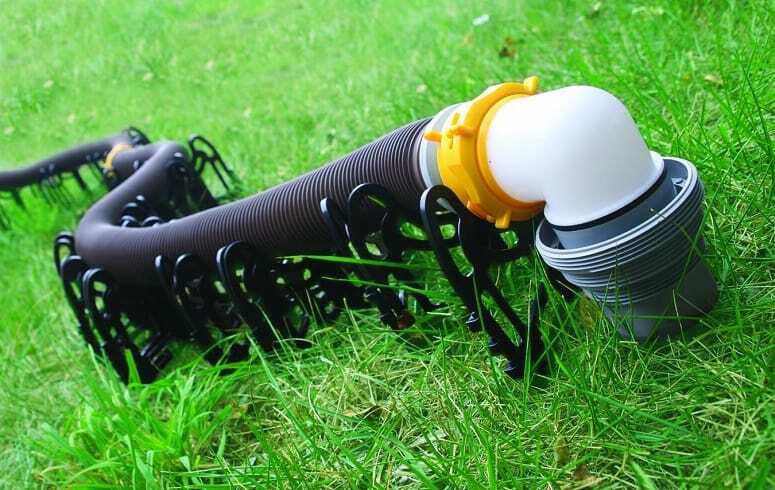 Has a bend-protector—prevents damage to hoses, should the filter need to be used at an awkward angle. 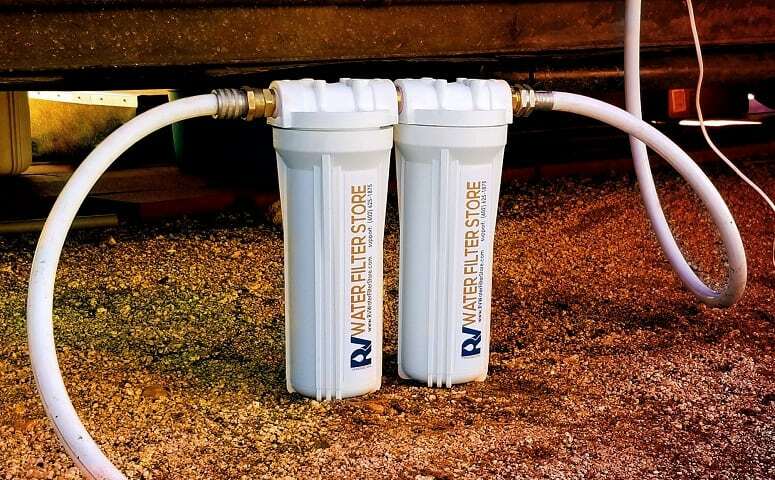 Be used with a high flow-rate—you don’t want your precious camping time being taken up with filling water tanks. There are some very useful inline water filters available that are easy to install, with no plumbing knowledge required. Many of these use activated carbon to clean the water and will last for an entire camping season. I know it would be perfect to have a spare for everything on your trailer. But, you only have limited space. Therefore the one spare item I believe is essential for your trailer is a water pump. Consider this, you left home and filled your tank to the max, knowing that you were going to a remote location with little water access. Arriving at your destination you turn on the tap, and nothing happens. Ok, you aren’t going to die from dehydration, you can still (awkwardly) access the water. But there’s definitely going to be no shower on this trip. At best, you will just smell a bit, at worst it can lead to skin issues and illness. Water pumps are relatively inexpensive, take up little space and are easy to fit. Look for one with around 45-45 psi, for a nice powerful flow. I hope that you enjoyed this article and it’s given you some help in choosing both essential and fun RV accessories for your travel trailer. I believe that having the right extras will increase both enjoyment and peace of mind. Please feel free to share this article if you think it will help others. Did we miss something that you consider essential? Let me know your thoughts in the comments section.